Sausage | Om nom nom! We had a couple of cans of white beans, and a kielbasa that needed a job, and it’s cold here on the farm. While we have more time than we used to on a weekday (horses live at home rather than me driving…amazing the difference! ), we still appreciate a quick dinner. This was fun, tasty, open to whatever sausage you have on hand, etc. 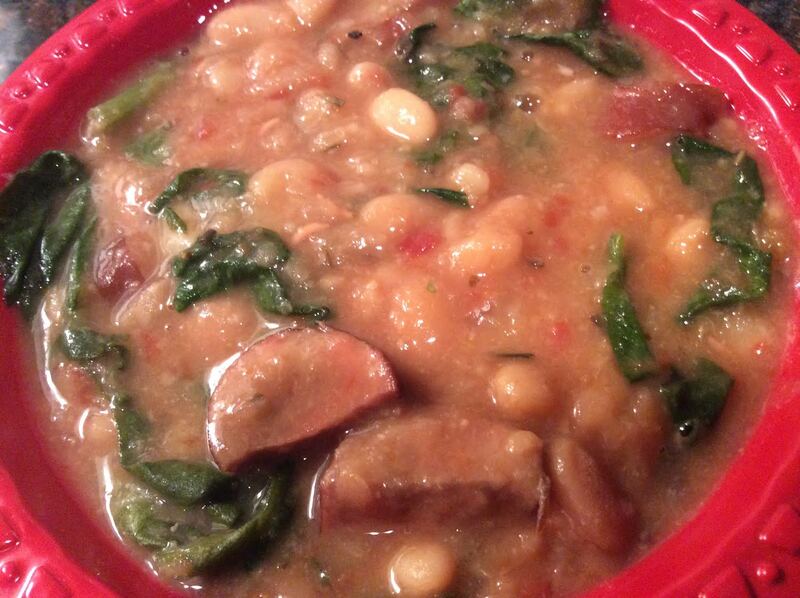 It is from Epicurious, and came up when I googled, “quick cassoulet!” I added a package of spinach for filling (and because it needed to be used up). 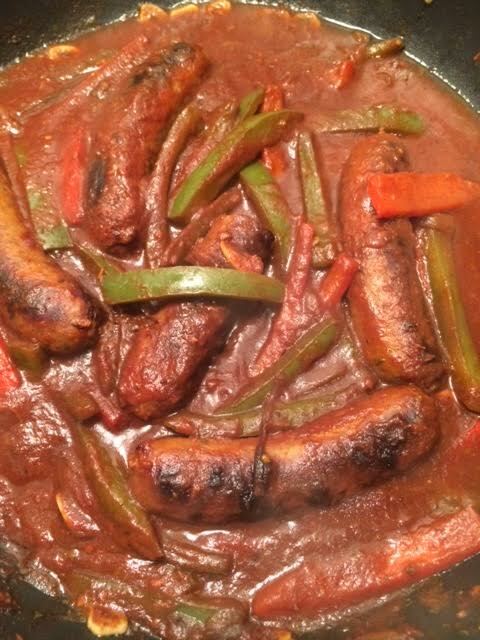 This was a pretty traditional sausage and veggies in sauce, but we really loved it! It was excellent on its own, but would be great on a roll or over some pasta. The sauce was surprisingly good for a quick 20-minute simmer. Red wine was optional in this recipe (which I found somewhere on Pinterest), but I would say it is not…that’s definitely what lent the nice, rich flavor. We had this with some brussels sprouts on the side. 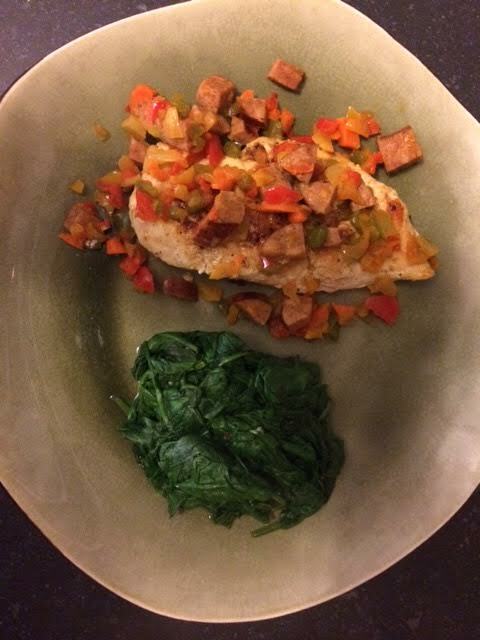 This was a super quick, tasty, weeknight dinner. 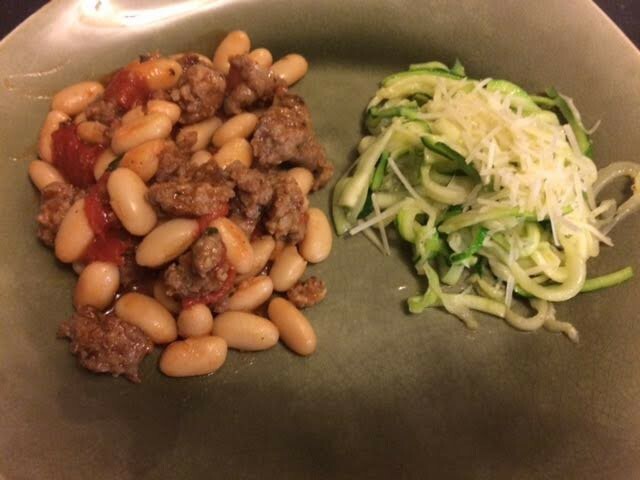 We did not put this over pasta (low carb considerations for me), but I actually think that it would be way too much if you did – the beans were plenty. We really liked this! Totally one to make again. We had this with garlic zucchini spirals. I am a sucker for all dishes Cajun or Creole. The problem is, I can’t eat most shellfish. But you can’t go wrong with catching the same awesome flavor with a Chicken and Andouille sausage gumbo. This is truly worth the time. The roux may be a long haul to get to the color you like, but you won’t regret it. This “recipe” made of many other recipes over the years, and I wish I could say where they all came from. I first learned by looking over gumbopages.com, and I suggest you check it out! The one addition over the years I never leave out now is File powder. 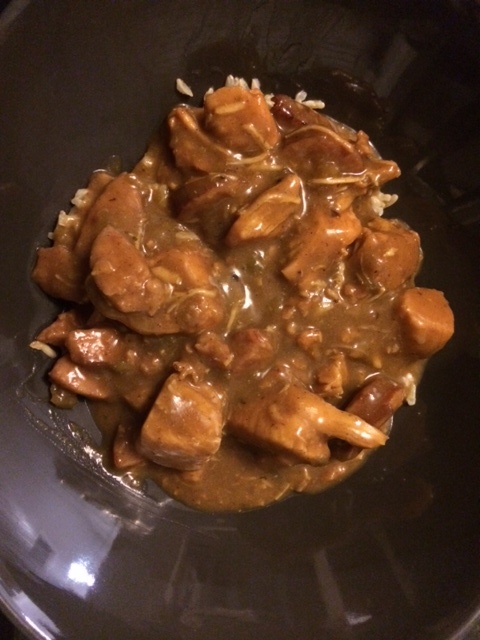 Serve Gumbo over steamed white rice and enjoy!